Aspen Shortsfest opens tomorrow at the Wheeler Opera House, and we're raring to go! 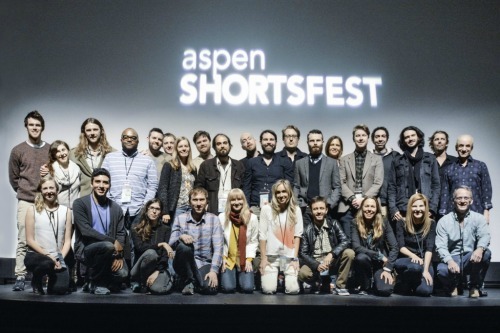 Recognized as one of the premier short film festivals in the world, Aspen Shortsfest is an Oscar®-qualifying festival embracing diverse sensibilities and subjects you can’t see anywhere else. Filmmakers from around the globe attend Shortsfest each spring to share their work, speak with audiences, and attend panel discussions about the art of filmmaking. The purchase of a ticket gets you in for a 90-minute slate of short films ranging in length from 30 seconds to 30 minutes. Amazing stories can be told in this format and if you haven't attended Shortsfest, don't hesitate to try it out. You may see a movie that makes it to next year's Academy Awards. Tickets are available at aspenfilm.org.